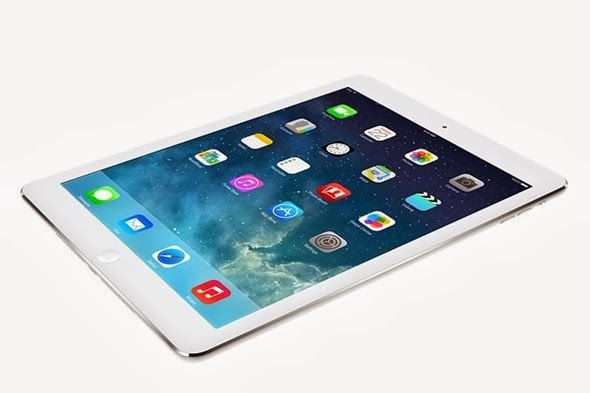 The old flabby design of Apple's iPad has been put to trash as the tech giant puts a design overhaul to its flagship tablet, and by the name of iPad Air, this new slate is gunning to dominate the 2013 tablet wars once again. The slimmer and lighter design is the main definition of the "Air" moniker, it's also backed up with a faster CPU and other shenanigans that you'll discover after the jump. The still 9.7-incher full-size slate borrows its sleek design to the one-year old iPad mini. Dimension-wise, the device is narrower at 7.5-millimeter thin (iPad 4 is 9.4mm) and lighter at one-pound weight (iPad 4 is 1.4 lbs). It is basically a bigger iPad mini. Just like the iPhone 5s, it'll also carry a desktop-grade 64-bit A7 processor that is coupled with M7 motion coprocessor which will definitely bring a drastic change from the previous model. iPad Air is said to be eight times faster in performance and 72 times faster in graphics work but maintains a 10-hour battery life. For the screen-centered, the iPad Air still flaunts Apple's Retina display and with the aid of iOS 7 that'll come out of the box (of course), this new slate could really instill inferiority complex to other earlier released slates this year. The 5-megapixel iSight camera will still be work-b**ching at the rare panel and Facetime HD camera on front. iPad Air will be available in Silver and Space Gray with prices starting at USD 499 (16GB) for WiFi-only model and USD 629 (16GB) for WiFi plus cellular. 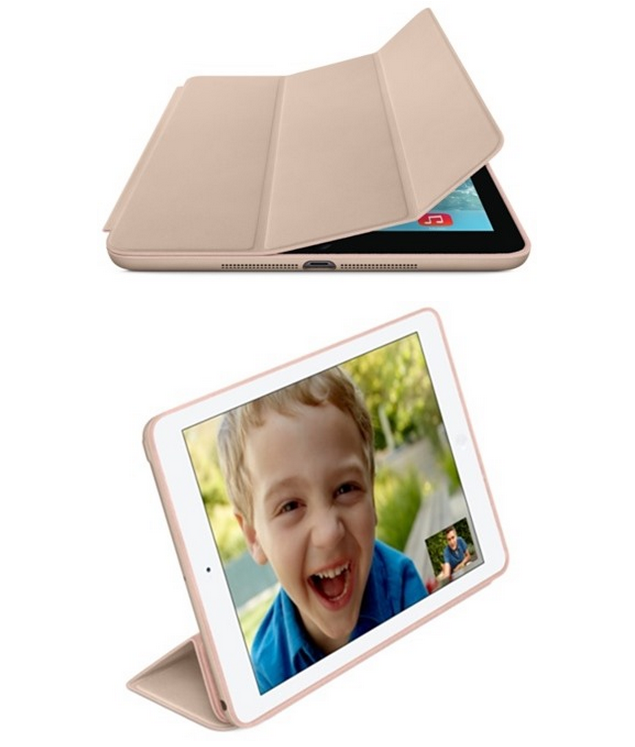 Apple also introduces smart cases for iPad Air for just USD 79. Surprisingly, it'll also have a 128GB configuration. 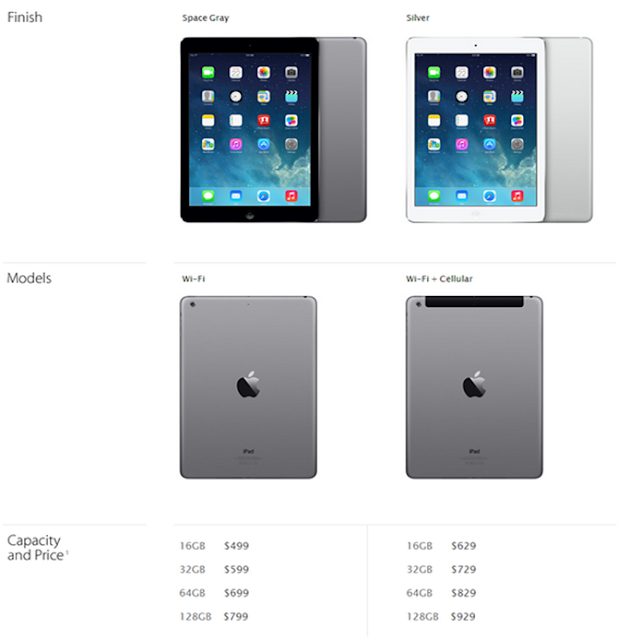 The iPad Air will be available starting November 1 in 41 countries (Hong Kong and Singapore included) worldwide.